Oles Can. Oles Will. Make a Gift Today. Give to the Senior Class Campaign and make a difference on the Hill for future Oles. We take pride in our 500-plus student-athletes and 27 varsity athletic teams. Make your gift today to support the pride! 1,874 donors in 24 hours. Are you ready to go #AllinfortheHill? Make an impact at St. Olaf College! 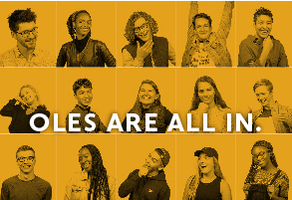 Connect with other Oles on GiveCampus!